U.S. Secretary of State John Kerry shakes hands with Israeli Prime Minister Benjamin Netanyahu in Tel Aviv, Israel, on July 23, 2014, before the two sat down to discuss a possible cease-fire to stop Israel's fight with Hamas in the Gaza Strip. Israel's Prime Minister Benjamin Netanyahu delivered an address before Congress on Tuesday, urging President Obama not to craft a nuclear deal with Iran. The domestic politics of the speech have been widely discussed, but the speech has raised issues of shifting U.S. alliances with Middle East countries. Joshua Landis, the director of the Center for Middle East Studies at the University of Oklahoma, says Washington could be looking to realign toward Iran to fight self-proclaimed Islamic State militants, possibly at the expense of its relationship with Saudi Arabia and Israel. That's causing a lot of anxiety. "The expansion of ISIS has really challenged us. Who is our big enemy in the Middle East? Iran, or ISIS? That seems to be at the heart of this debate," Landis said. "Netanyahu wants America not to make this deal with Iran, but rather to challenge Iran, potentially militarily, and that's what frightens President Obama. He doesn't want to go war with Iran. He wants to freeze the nuclear development." Thursday Saudi Arabia's foreign minister said Iran and Iraq's cooperation on a 27,000 troop offensive to retake the Iraqi city of Tikrit shows the Islamic Republic is positioning itself to take over its neighbor to the west. Landis says that type of cooperation, and the fight against ISIS, has made the U.S. and Iran de facto allies. "We both support the government in Baghdad, and we both support the attempt to destroy ISIS. So, in a sense, we're fighting in the same trench," Landis said. "Our traditional allies, the Sunni powers of the Middle East and Israel - are all perplexed. They're scratching their heads." And so are U.S. observers, including David Frum, a senior editor at The Atlantic and a former Bush administration speechwriter who coined phrase "axis of evil" to describe Iran, Iraq, and North Korea during the 2002 State of the Union address. "President Obama, I must say, has said that he wants to balance Iran and Saudi Arabia," Landis said. "In the past, we've been firmly in Saudi camp against Iran. But today, we need Iran." Israeli Prime Minister Benjamin Netanyahu said a deal the U.S. and its allies are pursuing with Iran over its nuclear program is "very bad" because, according to him, it doesn't take away the Islamic republic's ability to ultimately obtain nuclear weapons. 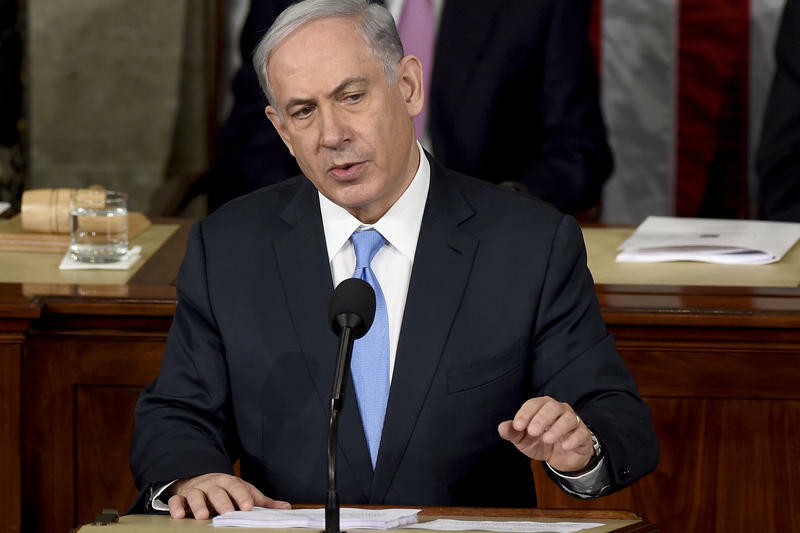 "This is a bad deal — a very bad deal," Netanyahu told a joint meeting of Congress today. "We're better off without it." President Obama spent very little time on foreign policy and foreign affairs during Tuesday night's State of the Union address to a joint session of Congress. But he did call on lawmakers to pass a resolution authorizing the use of force against self-proclaimed Islamic State militants.